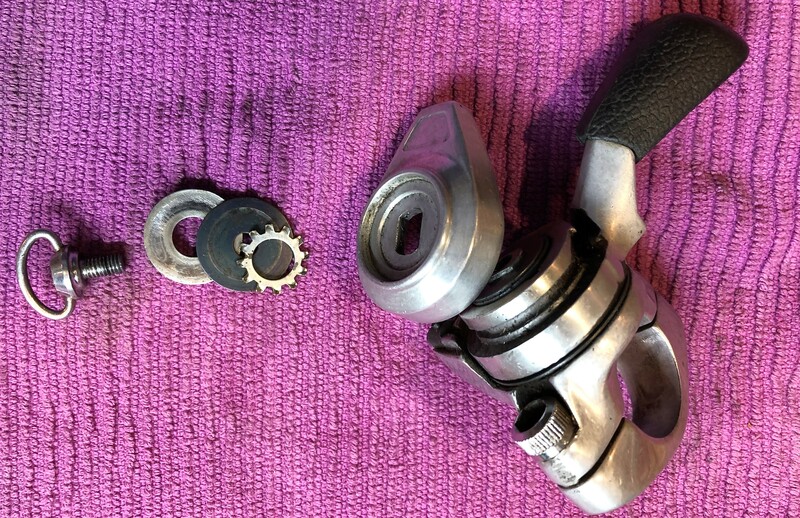 Last winter I overhauled a number of vintage SunTour, Shimano and Simplex vintage ratcheting shifters (to keep the evil winter spirits at bay). I was cleaning out my parts bin and wanted to separate the wheat from the chaff. 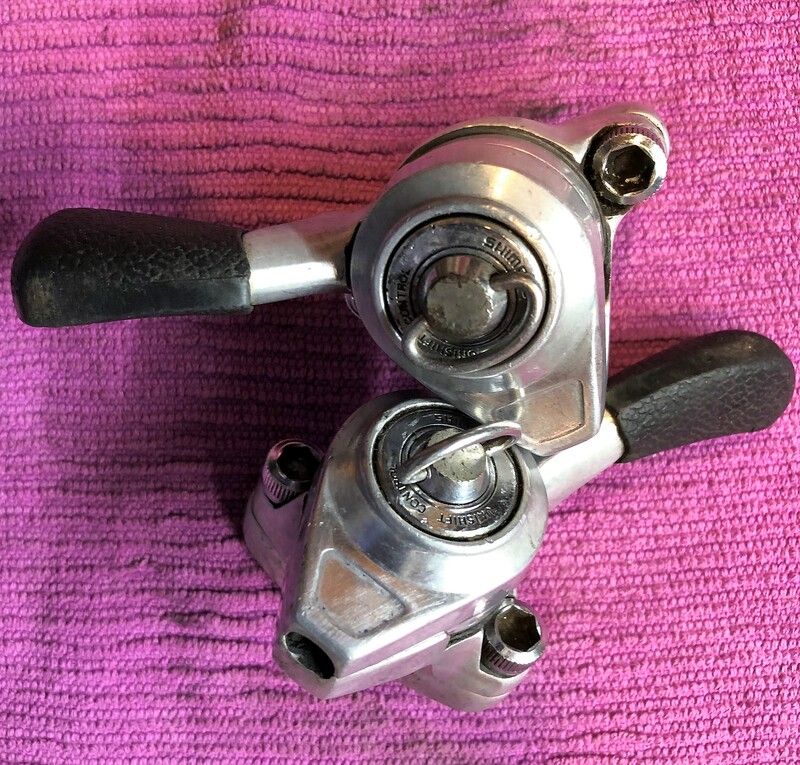 Most of the shifters I overhauled were stem mounted, which were derided in days gone by, but are making a come-back now. As part of that process I learned a few things about the “ratchets” used on these friction mechanisms. Some ratchets and pawls are made from steel or alloy, and some from plastic. 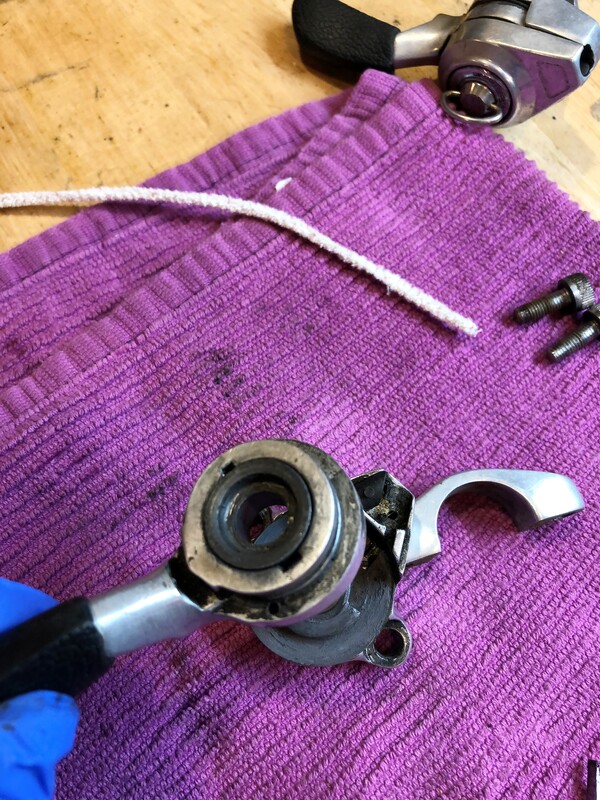 During this process, I noted that the Shimano ratcheting shifters I overhauled were of much poorer quality than their Simplex and SunTour competitors. However, none of the shifters in my parts bin included Shimano M700 Deer Head shifters, first introduced in 1983. 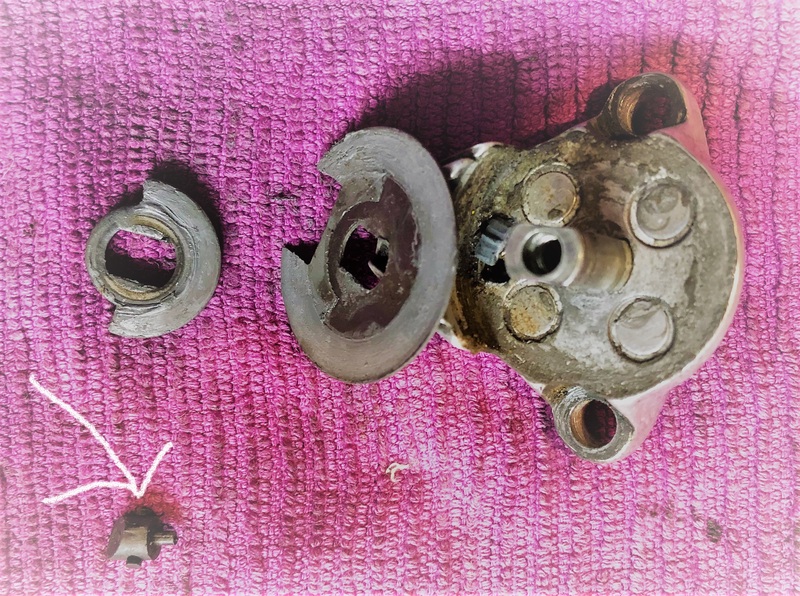 Recently I purchased a set of these shifters for a new project, but noted that they were very dry and caked in dirt and debris. So, I decided to tear them down and give them an overhaul (keeping the evil winter spirits at bay again). 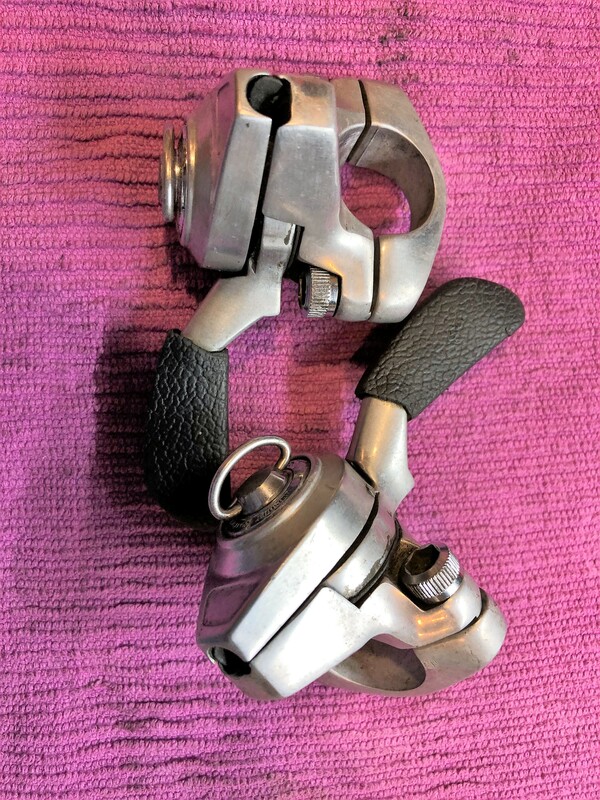 These shifters are very different from Shimano’s later mountain bike offerings: they are stylistically interesting and the bodies and clamps are alloy and not steel or plastic. Whenever I overhaul any component I get my camera out and photograph each step so that I won’t forget how the parts were assembled. 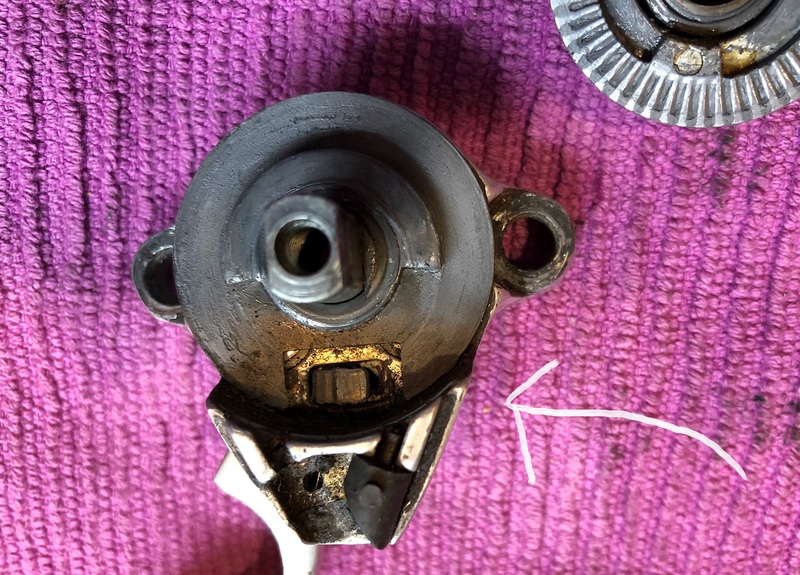 These shifters have 3 washers sitting beneath the tension bolt. Underneath the cover was another washer. 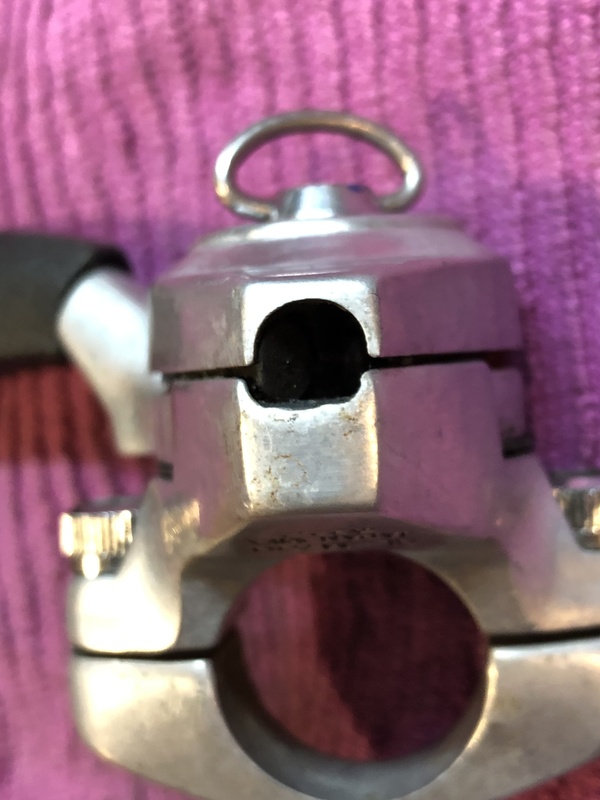 After that a C-shaped lockring needs to be removed, and I used a small straight blade screw driver to accomplish this. Once done, the lever body can be removed from the base. Flipping the lever body upside down revealed the ratchet grooves which engage against the pawl. 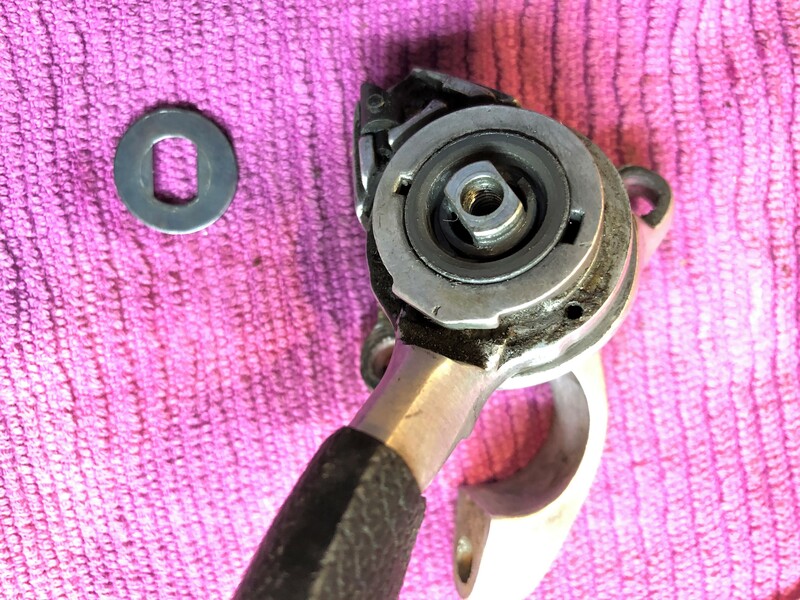 There is a spring which fits into the lever body. 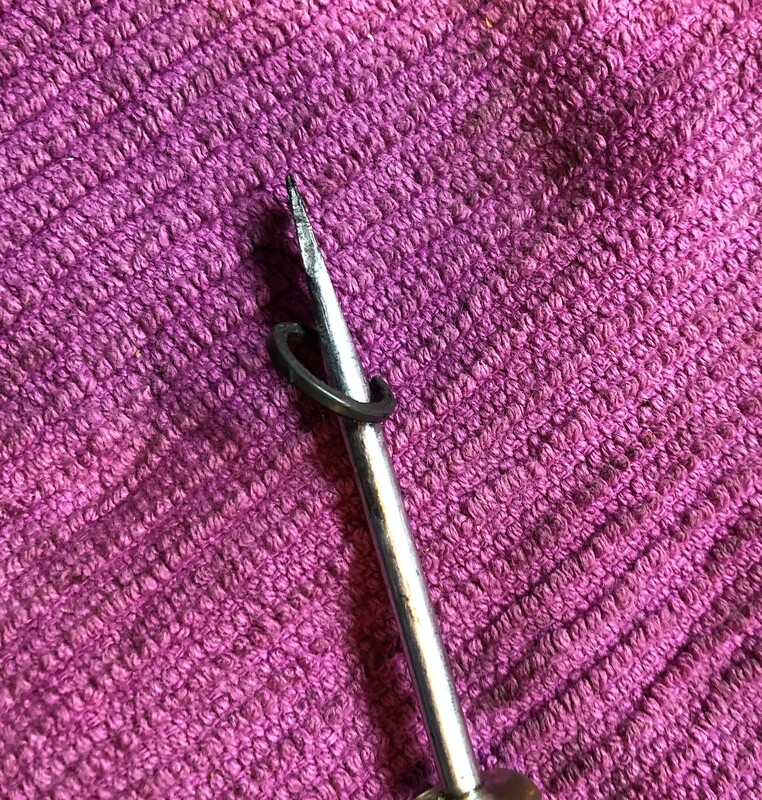 I use small diameter pipe cleaners to clean the narrow crevices such as this with alcohol as a lubricant. 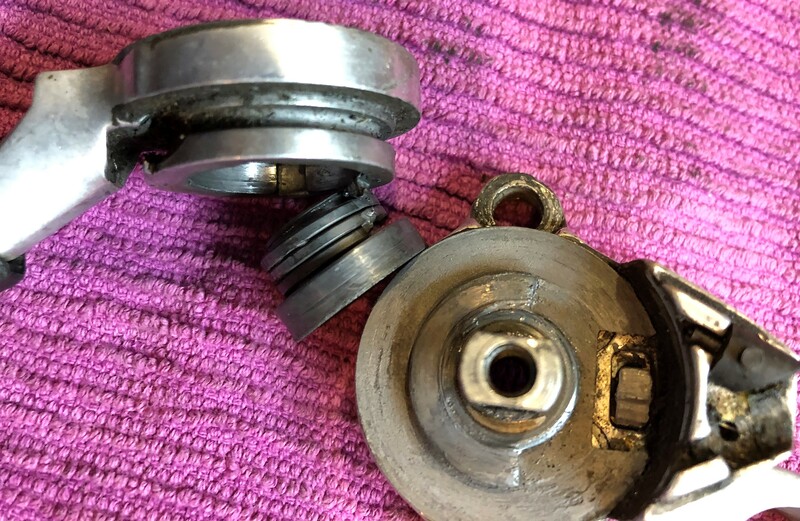 The spring had evidence of prior lubrication, now dry, so after cleaning I added a small bit of grease to the spring. 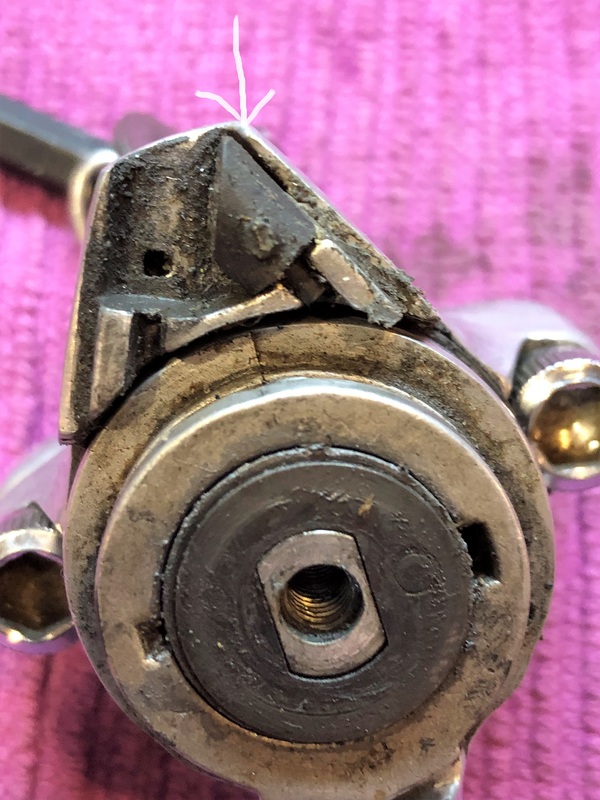 The ratcheting pawl on this shifter was a tiny alloy piece perched atop an equally tiny spring (2nd photo from last). And, the overhaul revealed that these shifter bases are the same for right and left hand. 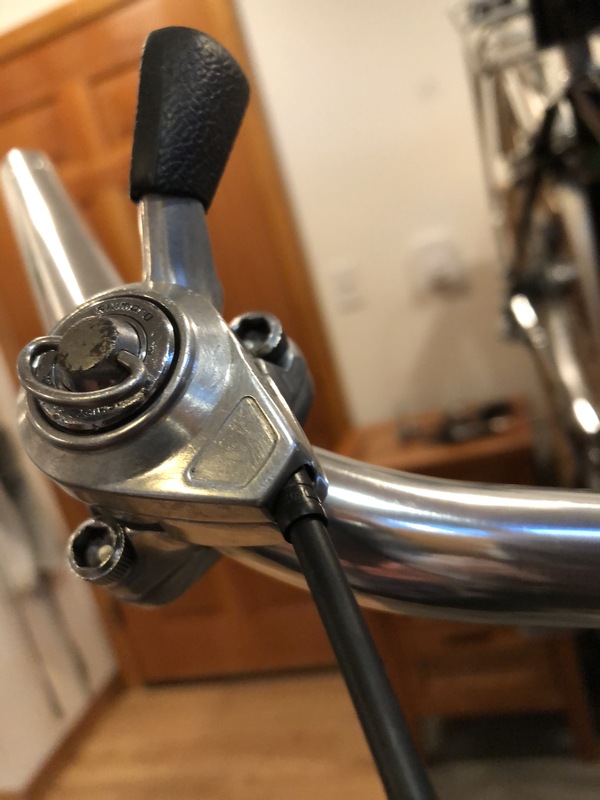 A small plug blocks the 2 way cable routing so that each shifter base can be set up properly on the right and left and side of the handlebar (last photo above), depending on the direction of the spring. 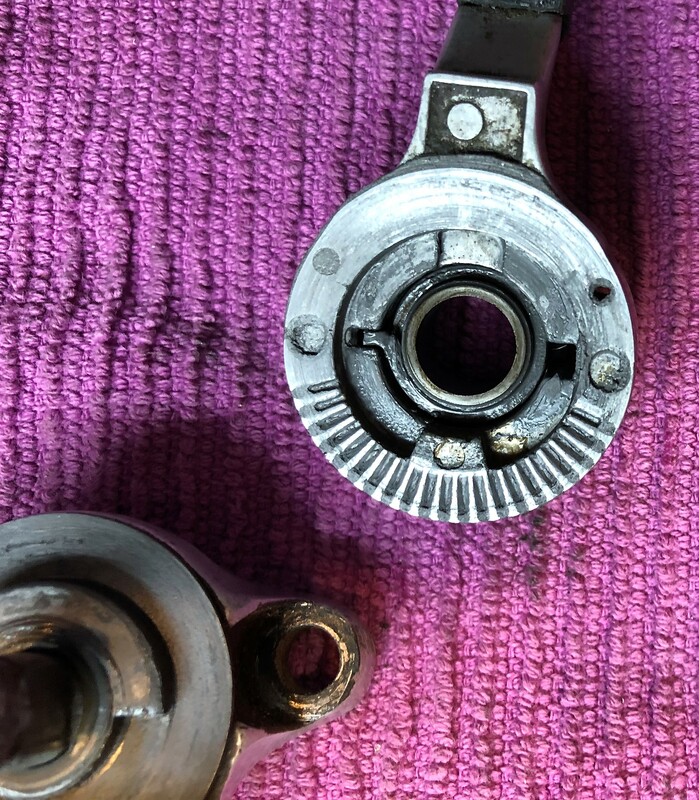 There are also several washers in the base of the shifter, which I cleaned and re-installed. 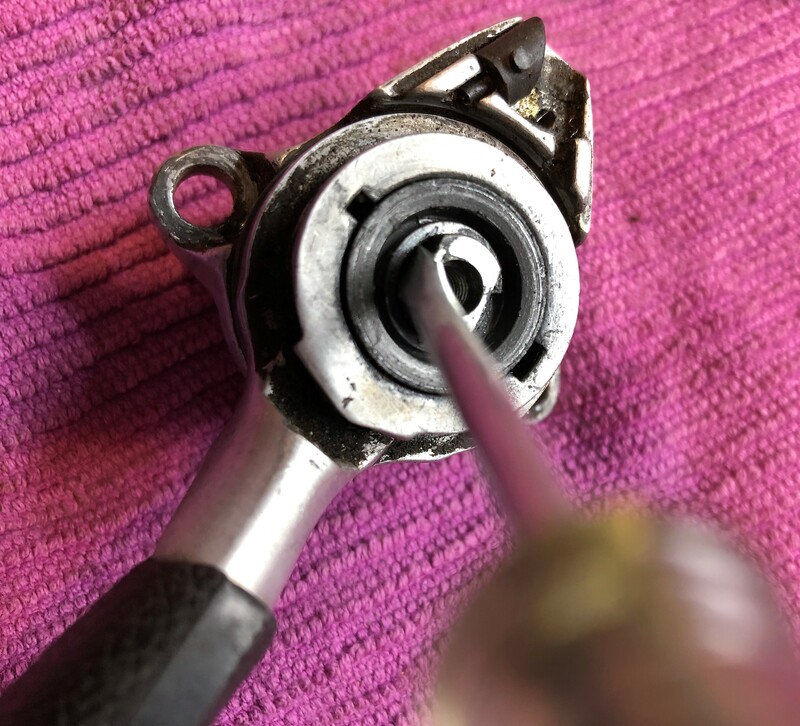 As with many Shimano shifters, it is necessary to remove the top plate in order to install the shifter cable. After the overhaul was complete I made this video to reflect the operation of the shifter and related sound experience. Now it’s time to think about how I will use these shifters on a future application. 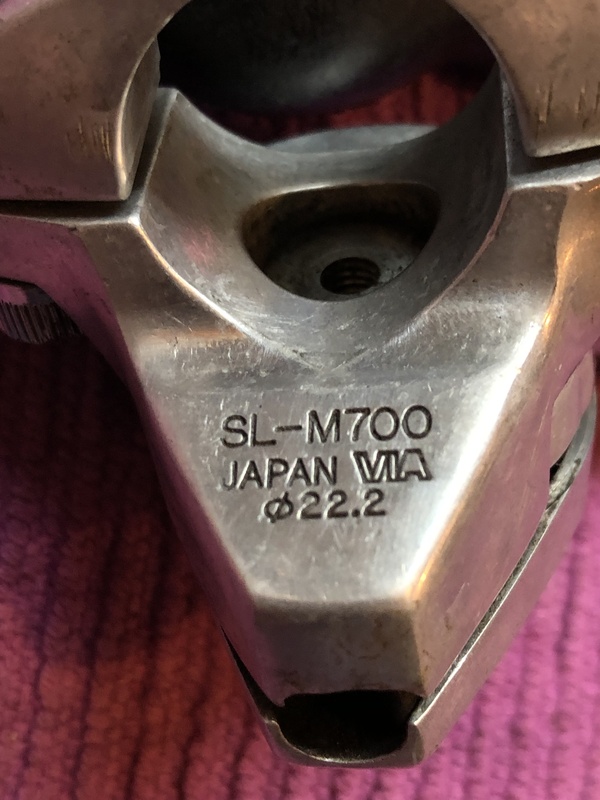 This entry was posted in Bicycle restoration and tagged friction shifters, Ratcheting shifters, Shimano Deer Head, Shimano M700 by Nola Wilken. Bookmark the permalink. ah the satisfying sound of a well maintained ratchet! Those deer heads are much cooler than the Deore II MT62 series thumbies I just parted out of a late 80s Rock Hopper. Agreed. These shifters ratchet in both directions and feature a clutch spring, which is incorporated in to the shifter lever. Plus, they are not only very well engineered, but oh so unusual appearing. A fun looking and long lasting component.